Imagine having the freedom to create your perfect daily moisturiser from scratch. This is what Skintailor is all about! In a few simple steps you will be able to design your own moisturiser tailored for your skin’s needs and we will produce it for you. Finding a perfectly matching product for your skin may be a challenging task for most people. Our mission is to make this process much easier by offering tailor made skincare products designed for your particular skin type. You tell us what you and your skin needs and Skintailor will make it happen. 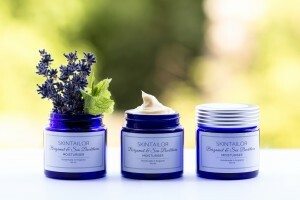 We are a natural skincare brand producing our products using only the finest natural ingredients. All our products are handmade in the UK and laboratory tested. We do not test our products on animals.